The experienced professionals at Empire Lawn Care know no boundaries when it comes to providing versatile landscaping services to our customers. Our lawn care company in Arlington, TX, specializes in weekly and bi-weekly services, including mowing, edging, and blowing. We can fulfill your lawn care needs. It’s your property—make it stand out in your neighborhood. 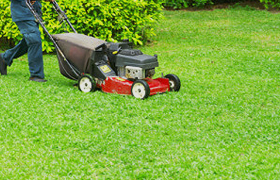 We offer a wide range of lawn care services. From mowing to planting, we are committed to making your lawn and garden the pride of your block. Let us enhance your property’s curb appeal. As your landscaper in Arlington, TX, we design and create your ideal yard. Save time and energy and let us handle the yard work for you. We offer complete lawn maintenance services. 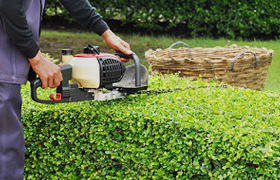 Our skilled technicians mow and trim your yard, so it always looks its finest. We also include edging and blowing, ensuring your property remains neat and clean. Ask about our routine options so that you can enjoy a well-maintained yard on your schedule. Give your yard a vibrant and vigorous appeal. We offer residential landscaping. Add color and life to your front lawn or backyard. Simply let us know the kind of aesthetic you would like, and we’ll pick and plant the flowers and plants to match your goals. Choose from many different varieties of ornamental plants to create your unique space. 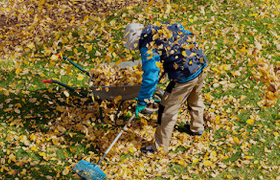 As the seasons change, so do the needs of your yard. Maintain the picture-perfect appearance of your property with our seasonal care solutions. 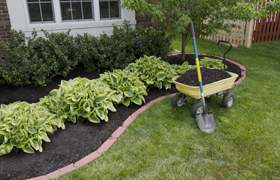 We spread mulch; weed out troublesome plants and overgrowth, and remove fallen leaves. Our professionals pride themselves on the high-quality work that we provide every day. We know that every single job we perform acts as a badge that represents our company. Therefore, we make your lawn into a shining example of our services. Trees are an excellent source of shade and can enhance your property’s appeal. However, they also require trimming to attain balance and positive growth. 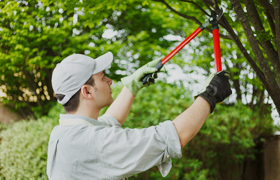 Count on our trained and experienced arborists to keep your trees healthy and vigorous. 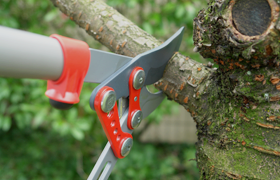 We provide branch and trimming services, and also tree and stump removal. Empire Lawn Care is the lawn care company you need when you want the job done well. Additional jobs are also handled promptly and efficiently, and all the work is done by trustworthy professionals. We offer a diverse variety of lawn care services, so you don't have to worry about hiring multiple companies to meet your lawn care needs. Our respectful, prompt, and skillful crews train daily to provide only the best service. 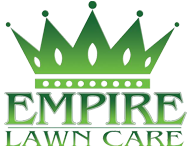 At Empire Lawn Care, we recognize that our clients are the reason for our organization. No job is too small for us. We strive to develop mutually beneficial relationships with our clients so that you always trust in us to perform any lawn services you require. Our professionals are proud to treat many of our clients as colleagues, friends, and even family. With our team of lawn care professionals, attaining a clean and well-kept yard is simple, cost-effective, and stress-free. Each member of our team is thoroughly trained in proper lawn care techniques, and we use the latest equipment in each service we perform. Also, we recognize that your property is a home. To that end, we make a point to respect your grounds. We take care to ensure existing fixtures and irrigation are intact, and we always observe the utmost care and discretion when working on your property. 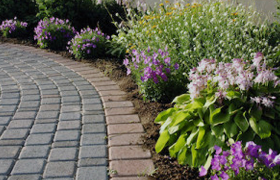 Contact us to request an estimate for our landscaping services. We proudly serve property owners throughout Arlington, TX, including Mansfield, South Grand Prairie, and the surrounding communities.